While the entire world is hearing about the "darker" side of Bet Shemesh we would like to tell remind you about a sparkling gem in the midst of our city. For over 11 years Lema'an Achai has been a voice of reason and sanity providing the tools to build better and brighter futures. Lema'an Achai helps ALL those in crisis. Men and Women. Religious and not so religious. Ashkenazi and Sefardi. Young and old. Poverty and hardship don't discriminate. Nor do we. You can be a partner in our amazing work that has changed hundreds of lives for the better. As we conclude this tax year please consider a generous tax deductible donation to help strengthen Lema'an Achai, a bastion of sanity that unites Jews from all stripes for the common goal of helping others in need. Please visit our website atwww.smartchesed.org. Take a look around and donate generously. Share this email with your friends. Everyone should know of the beauty of caring for all of our brothers and sisters. With your help the positive messages of Lema'an Achai will continue to be a beacon of light for all of us. In a country in which women sit in the cockpit, women will sit anywhere. For all you kiddush club people out there.. I don't know why they put the scene in at 3:20 of someone taking money out of the building fund box. It only turns a funny and perhaps reckless activity and has made it look sinister and evil. Or maybe that was the intention. People are putting up self-made videos related to the issue of mehadrin buses, gender-segregation, and the like. Both making fun of it, and supporting it. It was just announced that the Israel Rails (RG: That's the trains) will be on strike next week. Workers in the train systems and its management need to be careful from th moment the impression will be created that the train is on strike more often than when it is running. In general, the strength of the tool of a "strike" is more in it's mere existence than in it's actually being used. I am only posting one two links in this edition of Interesting Posts. 1. Rabbi Yitzchak Adlerstein's post on Cross-Currents entitled "Welcoming The Charedi Spring". A few weeks ago there was a dispute in Jerusalem in a mall called Center 1. Center 1 is a small mehadrin mall - some small shops and a few restaurants that are all mehadrin food. This little mall main target clientele is the haredi public. It was publicized a few weeks ago that a female security guard had been appointed as the head of security of the mall. Shortly after the announcement, within the day I think, her appointment was rescinded. She claimed that it was rescinded under pressure from haredi askanim who did not find it appropriate to have a female security guard and even worse to have her in charge of the whole place. Her being in such a position would require them to talk to a strange woman, as they would have to answer questions when asked for security reasons, and they would be under the authority of a secular woman. The haredim took their time, but eventually the askanim denied it and said it was for purely professional reasons, as they didn't find her specifically to be suitable for the job. The fact that she was replaced by a male was coincidental. They even said there are other female security guards there and in many other places and nobody has a problem with it. Classic "he says, she says" situation. The story was reported in some of the haredi distribution, but did not really get noticed by the mainstream media. The Yated Neeman, according to Mynet, related to the story now in the sense of an interesting psak that has come as a result of it. According to the Yated, Rav Elyashiv's opinion is that because the security guard is only talking to you for security reasons, to ascertain that the person entering the mall is not a possible terrorist, there is no problem in responding to her query. A woman could respond to a male security guard, and a man could respond to a female security guard's question and greeting. The Yated says that this is agreed to as well by Rav Shmuel Wosner and Rav Moshe Sternbuch. Answering with a few short words is not included in the prohibition of greeting and chatting with a woman. Rav Nissim Karelitz supposedly added, though I think his addition is also clear in what is quoted from Ravs Elyashiv, Wosner and Sternbuch, that a person should answer briefly and remove yourself from the situation quickly, so it should not develop into a superfluous conversation with a woman. I just remembered a conversation I had this past week with someone. he had wanted me to post his comment as a post, while I kind of wrote his comment off - laughed at it and moved on. His thoughts were not acceptable, and I thought they were more designed to make trouble than to actually be thoughtful. After a week of the news centering on Jew - Jew fighting, Bet Shemesh, haredim, violence, sexualization of women, etc. I decided to post it. Maybe he has a point. Maybe we need a new approach. At least I want to hear what people have to say about it. This fellow said to me that the source of all our problems here in Israel, the Bet Shemesh issue just as much as any other issue that comes up (as there is always something we are fighting about in the Israeli public forum), is that Jews are in charge. Jews, he said, are not meant to be leaders. Jews are not meant to be leaders. Moshe Rabbeinu, Moses leading the Jews out of Egypt, he says, was the exception. Moses was divinely appointed to the job and that was the exception. Even when the Torah talks about appointing a king, it is only after it is demanded by the people, but is not considered the ideal situation. Jews in leadership positions, he says, do not command respect, and often create more divisiveness. This is why he says he would never vote for a Jewish candidate running for president of the USA. To impose that thought over our situation, there is so much dissent in Israel over every issue that enters the public discussion because nobody respects the leaders. The Jewish leaders do not command the respect of the people. In the Diaspora, be it the United States of America or Great Britain or France or Australia or anywhere else, Jews don't act with such dissent the way we do in Israel. And it is because, this fellow claims, we are under Jewish leadership in Israel. Non-Jews can be leaders and command respect of the people. Jews cannot. It is just not part of our nature to be leaders in that sense. We Jews can lead the way in academics, in innovation in many other things, but not as social leaders of movements and in politics. Knowing this does not solve the problems we are having, unless we would be willing to stop Jewish leadership in Israel and only elect imported non-Jewish leaders (or local Christians and Muslims), but it at least identifies it. The Fiveish Dance 2 - In Israel! Prime Minister Benjamin Netanyahu has come up with a creative solution to the problem in Bet Shemesh. 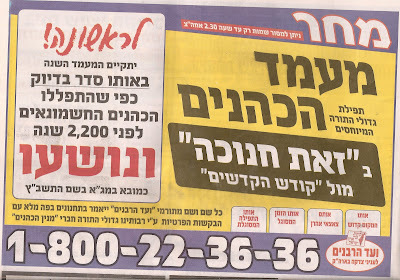 His solution is, and it is not limited to bet Shemesh, that a city with a general population should not have a haredi mayor running it, and vice versa I presume the vice versa - I did not hear that in his name). To avoid all the problems, and hatred and smearing and violence, Netanyahu said he would support any solution, and he has now supposedly signed on, or is considering signing on, to an arrangement to split Bet Shemesh into 2 separate cities. Old Bet Shemesh would be for the general population, and Bet Shemesh Ilit, or Ramot Bet Shemesh, would be for the haredim. Similar to Modiin and Modiin Ilit, and other similar split cities. 1. I thought we and he are opposed to segregation. Now he says we have to segregate religious and non-religious? 2. I don't consider this a fair arrangement. Divinding the city like this would leave those of us in RBS A stuck living with the thugs and dealing with the same problem. he is just minimizing their influence a bit. He is not helping me in any way. Instead of dealing with the goons and finding a way to put an end to their violence, he is just shifting the problem. 3. Many Dati Leumi live in RBS, and I am sure many of them wanted to live in a mixed city and not in a haredi city. That is possibly why they didn't live in, or consider living in, Bitar or Kiryat Sefer. So now they would be stuck in a Haredi city because their house fell on the wrong side of the new border? Would they offer house swaps to people on the wrong side who wanted to go with the other (either direction)? 4. This is not really a new proposal. Some of the councilmen have recently proposed it as a solution, and it has very little support. Besides for that, many might not know or remember, but about 13 years ago when the neighborhood was still new and got horrible service from the Iryah and anything else related to old Bet Shemesh (there were no street lights, no street signs, ambulatory service was horrible if they could eve find the house, etc). After a certain point of frustration, people decided to establish a communal committee to deal with the issues and work, or fight, with the Iryah. At the time, we proposed a division of the city because we were so upset with the poor service being received in RBS. After meeting with various officials, we dropped the idea because we were told it would never pass as it would cost the government too much and the trend was to combine small cities and not create new ones. So Netanyahu's idea is really an old one, but the perspective is very different. 5. Interestingly, many politicians have been making comments about the plan. Most oppose it, while some think it is a good idea to consider. Interestingly, Labor Party head Sheli Yachimovitz spoke out against the plan (I don't remember her reasons). That is interesting because locally it is the Labor representative on the City Council, Richard Peres, who has been the main proponent of this solution. Looks like they are not coordinated. Preamble: The following article was originally written and posted on my personal blog in June 2009. I took it down for fear that my children might be thrown out of their "moderate charedi" schools - ironically, for exactly the reasons I rail against in the article itself. In light of current events in Beit Shemesh receiving national attention, and because the original reasons for removing the post from my own blog are still applicable, I hereby submit it for anonymous re-publication on Life In Israel, with contemporary edits in brackets. Something really doesn't add up. I've blogged a few times about [my Rosh haYeshiva], his commitment to balance, to moderation, to avoiding chumros, to just plain old common decency. I'm not going to rehash that now. And in response to these articles, I have had overwhelmingly positive feedback, both online and offline. People wishing there were more people like [him] in the world, people looking for moderation, people searching for a voice of reason and sanity. People of all stripes of Judaism - including a good many people who dress only in black suits and white shirts with velvet or satin yarmulkes. In common parlance, that means charedim (I think we've long since lost the connotation that Yeshayahu HaNavi intended when he coined the term). And that's what doesn't add up. To the casual observer, charedi society today seems like nothing resembling these values. Not balance, not moderation, not accommodation with the outside world, not unconditional love for all other Jews, irrespective of where they're holding, and drawing them closer - but rather extremism, rejectionism, insularity and building walls to protect themselves from those - even religious Jews - who are not exactly like them. And the shtick you have to go through to win approval! Can't send your children to this school if they have siblings in that school, or if you eat food with the wrong bada"tz hechsher, or if you aren't in full time learning, or if your wife wears/doesn't wear a sheitel... if they don't go to this school then they won't get into that yeshiva, they won't get a good shidduch, blah blah blah. So if the society is full of shtick, and the people living in that society are telling me that they are against the shtick, then who exactly is running the society, who is making the rules, and why are people complying with them? I'm currently re-reading Natan Sharansky's excellent book, The Case For Democracy. In this book, Sharansky describes his experience of living inside the "fear society" of the Soviet Union, and applies the lessons of how the USSR was destroyed to the Arab world today, making his case for how to transform today's "fear societies" into "free societies". He describes three kinds of people in a fear society: True Believers, Dissidents and Doublethinkers. The True Believers (TBs) are the ones who really believe that the society they have created is a good thing, and they are the ones who prop it up, who proselytize and brainwash, and who enforce compliance. The dissidents are the ones who are opposed to the regime and who are unafraid to speak their minds. And the doublethinkers (DTs) are the ones who don't really, in their heart of hearts, agree with the regime, but they are afraid of the consequences of non-compliance, and therefore toe the party line and do as they're told. Very importantly, Sharansky points out, it is nearly impossible to tell what proportions of TBs or DTs are in the population in a fear society, because they are indistinguishable by their actions. I won't go so far as to say that charedi society today is like the USSR or today's Arab states, but l'havdil elef havdolos, there are certain similarities, particularly in the "town square" test: can you walk into the middle of a public area and loudly proclaim your views, no matter what they are, without feeling threatened by violent retribution? You certainly can't drive through RBS-Bet with an Israeli flag on your hood, nor can a woman wear culottes in certain charedi neighborhoods without the threat of being physically attacked. Compliance with other chumros may not be enforced by the threat of gulag or summary execution, but if you get on the wrong side of the "tznius police", they can make your life a misery in other ways. And however watered down the analogy may be, I think we also have here the same categories of TBs, DTs and dissidents. Judging by the responses I've had to my previous articles, it looks like there are a lot of DTs out there. DTs who wear the uniform, not because they think it's a good thing, but because it's what they're expected to do. DTs who look the other way when the TBs get violent, not because they agree with the violence, but because they're afraid to speak out. DTs who go along with all the shtick of chumros upon chumros, not because they want to bring themselves closer to Hashem, but because they fear if they don't they will be ostracized, excluded and rejected. I personally live on the fringes of charedi society, and despite many of the negative things I have written about here, I identify strongly with the charedi commitment to Judaism, to Torah, to taking our obligations seriously and living Jewish in the fullest sense, rather than tolerating our religion and finding compromises that allow us to live comfortably despite it. I have a lot of friends and contacts who are fully in the charedi world, shtick and all. I'm not sure I know any True Believers at all, and if I do, I can count them on one hand. The vast majority are normal, balanced people, who want to achieve closeness to Hashem through personal, internal struggle, not the superficial narishkeit of how long their tzitzis are. DTs often think there's no harm in accepting chumros, if they serve their purposes of being accepted into charedi society in whatever context. I'm coming here to tell you that yes, chumros do harm. Motzi laaz is a big one - casting negative aspersions on people who are keeping the basic halacha. What about yuhara - arrogant pride that you're doing things "better" than everybody else? Derech eretz kadma latorah - if you go into somebody's house, are you going to embarrass your host by refusing to eat his (perfectly kosher) food because you hold by a "stricter" hechsher? Show me the chumra and I'll show you the inherent kula. Not that all chumros are bad, but they have to be weighed up (see Mesillas Yesharim Chapter 20); it's not necessarily, nor even often, the safest route to be more machmir. In summary, this is a call to all charedi doublethinkers to become dissidents, after a fashion. Obviously don't throw everything out - but don't reflexively accept the shtick that the True Believers are imposing on you. If you think it's good, then do it. If you don't see the value in it, don't be intimidated. Evaluate the gain of a chumra versus the loss. If you hear people saying "Daas Torah" or "The Gedolim Say", run a mile - because as one senior Rabbi told me, that's a sign of insecure people trying to squash debate. Rule of thumb: the gedolim didn't say it, and even if they did, it's a quote taken out of context or patched together by askanim with an agenda, who asked misleading questions to get the answer they wanted. Here's an example of that. If enough charedim have the courage to dissent and refuse to comply with the shtick and narishkeit, then just maybe we might start seeing a transformation within that society, towards a gentler, kinder, more balanced environment - truly a society of charedim lidvar Hashem. I have been to many hafganot over the course of my 21+ years in Israel. I have been to just about every type of hafgana that there has been, sponsored by just about every different type of sectors that exist. Not every single type, but a lot. 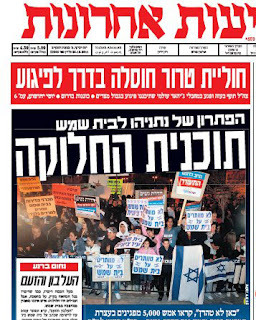 Whether it was ultra-haredi riots over grave diggings and closing Bar Ilan street in jerusalem, or be it nationalist hafganot against giving land away to palestinians or other political moves, be it regular haredi protests against different issues (public shabbos observance by the State, anti-haredi whatever, etc), be it Kach protests against who knows what, be it left-wing protests against the State being too right wing, protests encouraging peace negotiations.. I have seen a lot of protests in my time here, and that includes that last 5 or 6 years in which I have basically stopped going to protests (2 rare exceptions were both Bet Shemesh related issues). The one common denominator among all the various protests and protesters, and this is the reason I always had a great time at these protests no matter what was happening (even when they got violent or when the police got violent), is that I was standing out there with my brothers and sisters who cared about the issue at hand. Whatever the issue was at any given time, it was important enough to these people, not always to me - I sometimes went not because of my solidarity with the cause but sometimes for other reasons, to get them out of their regular routine and come out to make themselves heard. Everybody has something better to do, some other way they would rather be spending their time. Yet the cause at hand brought out people who cared enough to try to improve life in Eretz Yisrael. That is a great manifestation of the mitzva of Yishuv Eretz Yisrael. Yesterday was no exception. I was standing out there in what was not really such a great hafgana. It was not organized well. There was a mish-mash of agendas and goals. There did not seem to be any concrete target of the energy. A number of speeches that were mostly pointless. A lot of people came, but there was a lot of milling around with no unified direction. The best part of it was being out there with 5000 or so people (this number was given as the official police estimate) who cared enough to leave their regular routines and spend a few hours trying to make life in Eretz Yisrael better. Whether the hafgana will turn into a success or not, I don't know. I don't know what would make it so. On the other hand it might already be so, as it pressured the mayor to hold a press conference shortly before the hafgana in which he condemned the extremists and their violence and called on the police to act strongly against them, as well as saying he is going to do what he can to chase them out of town. I don't know if he will actually do anything or if he will just try to bide his time until the media finds another juicy topic and the pressure dies down. The fact that he already had to change his tune is the start of the change. With so few rabbinic voices being heard on the issue itself, each one that does relate to the actual problem is all that much more important. Rabbi Yakov Horowitz says it is time for the 99% to be heard. We all know the troublemakers are just 1% of the community. It is time for the other 99% to be heard. a mobile menora being driven around town encouraging people to donate.. The funniest thing to happen on Twitter, in a very long time, is the recent account opened under the name of Angry Charedi Guy. He is the crazy driver from the video of the news report that spoke about how we are healthy and they are sick and how his rav said they should spit at kids. Consider this a public service announcement. You will enjoy. It will make your day pass with more smiles. This is the latest advertisement of the Vaad HaRabbonim running in the Yated Neeman... the newest segula is davening like the chashmonaim! Their people, a group of kohanim, will be praying, "for the first time", in the precise way the kohanim chashmonaim davened 2200 years ago and were saved. I assume this means they know exactly how the chashmonaim davened for success in their upcoming battle against the Greeks and Hellenists. Since they are davening outside the Kotel in the place that is opposite the kodesh kodoshim, I am not sure how this event is going to be precisely what the chashmonaim did. Did the chashmonaim daven at the Kotel and not in the Bet Hamikdash? Did they really daven outside the wall of the Bet Hamikdash, opposite the kodesh kodoshim, rather than going in? How do they even know what the chashmonaim did - how they davened, where they davened, if they davened, what tefillos they said, etc? Today is the big hafgana against violence and extremism. The hafgana will be at 6 PM on the street outside OROT on Herzog Street. Obviously, with so many different people and groups participating in the same rally, there will be a lot of different agendas on display and at work. Shimon Peres called on people from all over Israel to go to Bet Shemesh to the rally to show the extremists that they do not own the country. Mayor of Bet Shemesh Moshe Abutbol said this morning that if he is not officially invited to the hafgana it will prove the hafgana is simply a political ploy against him. He does not understand that this is a protest of the people by the people and against some other people. No politics involved. Though, with so many agendas at work I am sure there will be some with political agendas, however, that is not the focus of the rally. If Abutbol wants to come as a private person protesting extremism and violence, he is invited as much as anybody else. 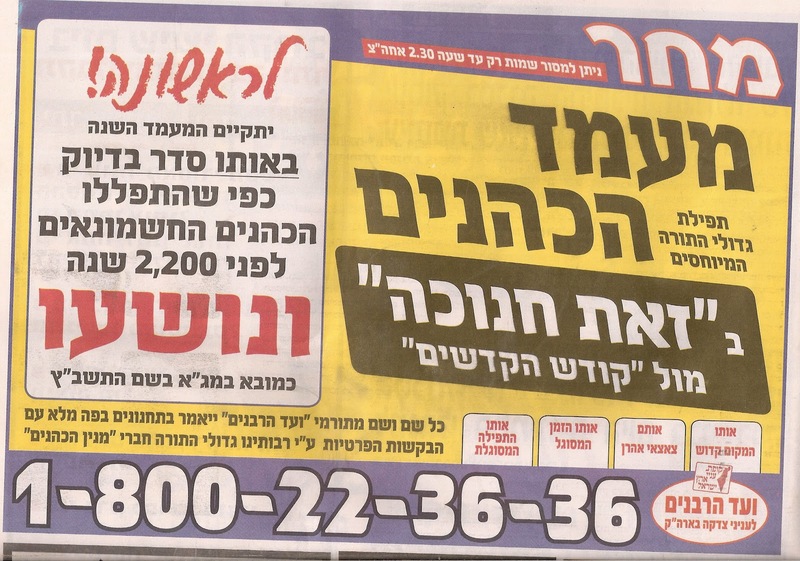 In what looks to be an attempt to save face and do some damage control, Deputy Mayor of Bet Shemesh Meier Balaish has announced to his supporters and targets of influence that they are joining the protest. According to the information put out by him, they are meeting at a different location and will parade to OROT while protesting violence. There is definitely going to be a lot happening tonight, and it seems like there will be a little bit for everybody. We all knew Bibi, PM Benjamin Netanyahu, was smart.. but did you know that Bibi is one of the 19 smartest people in the world.. with an IQ of 180!!!!??? According to Business Insider Magazine, a study of the smartest people in the world places our prime minister in the list of the 19 smartest people.. I am not quite sure what one is supposed to do with this information, regarding anybody on this list. Smart is not an accomplishment. Smart is a natural gift. The person then has to cultivate it and maximize his efforts based on his or her unique capabilities. This is a cute clip..
Matisyahu beat boxing in Brooklyn first viewing on stage in NY after he shaved his beard. After the shave heard round the world, Matisyahu is finally back to performing. Here is a clip frm his first beardless gig..
9. Hareidim - Join The IDF! 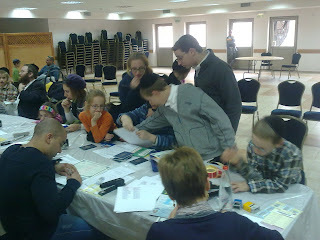 Yesterday we went on a family tiyul chasing flash floods. In recent years, groups have formed to go look for, watch and photograph, rivers turning into flash floods from the heavy rains. This is mostly done in southern Israel, as the rain water flows down the mountain ranges from the heights of Jerusalem, and through the valleys and riverbeds of the Judean Desert. You can find these people updating websites and tiyul forum sites with information on where the floods are, where to watch them from, best places for pictures, where it is too dangerous and more. It always sounded cool and exciting to me, but I never did it. until yesterday. Yesterday we took a family tiyul and decided to go down to the Dead Sea area and look for flash floods, considering we had had a decent amount of heavy rains over the 24 hours prior. Driving along Highway 90 along the coast of the Dead Sea, Nahal Qidron was easy to spot in its flooding state. It was easy to spot because people were pulling their cars over to the side of the highway and parking to go watch the river. A lot of these flash floods down south used to wash out the roads and bridges, as the water just flowed right across the highway. Many of those danger spots have been fixed up so the flood goes under the highway instead of on the highway. Nahal Qidron was amazing. the water flow was strong, but not overly impressive, as you will see int he video. It looks like you could easily go in and enjoy the water (though it was muddy). I told my son that it is far stronger than it looks. After we crossed the highway, to see where it dumps out from the drain sewers, we saw how massive and strong it really is. 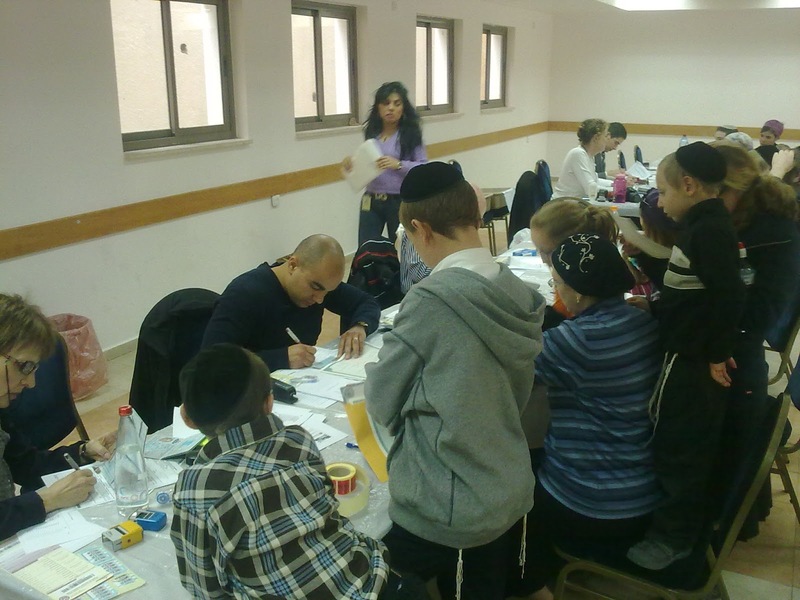 In Judaism there is gender-segregation. period. Also in the Beis HaMikdash there was gender-segregation. Since then you can look and you will always find the sealed mechitza in every place. The woman can look at the men, but not the opposite. That is the way it is also on the bus. Every haredi woman enjoys sitting in the back, among the women, and talk about womanly issues, and not to sit among the men and keep their mouths shut. In the back section of the bus it is comfortable for her. Woman have their own topics of discussion: the kitchen, the home, raising kids. That is natural. If men would birth children maybe things would be different. We want to live in our own ghettos, in our own neighborhoods, in separate buses. Where there is no gender-segregation it is not Judaism. Sometimes the bus goes in reverse, and then the women are sitting in front. After a recent string of fascinating archaeological discoveries dating to the Second Temple period, the digs at the City of David in the underground continue to produce amazing finds. 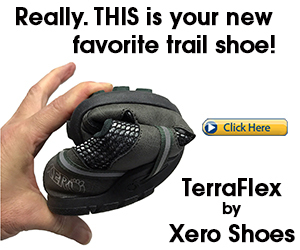 Yesterday a new amazing find was announced. This one is even very timely. 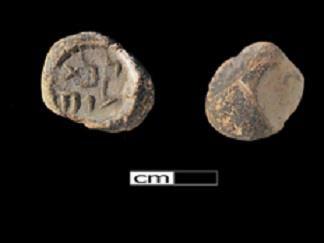 The discovery was of a small signet, about the size of a button, upon which was engrave two words in Aramaic that mean "Pure to Him" - tahor lo - and in the original, "d'chee leih". 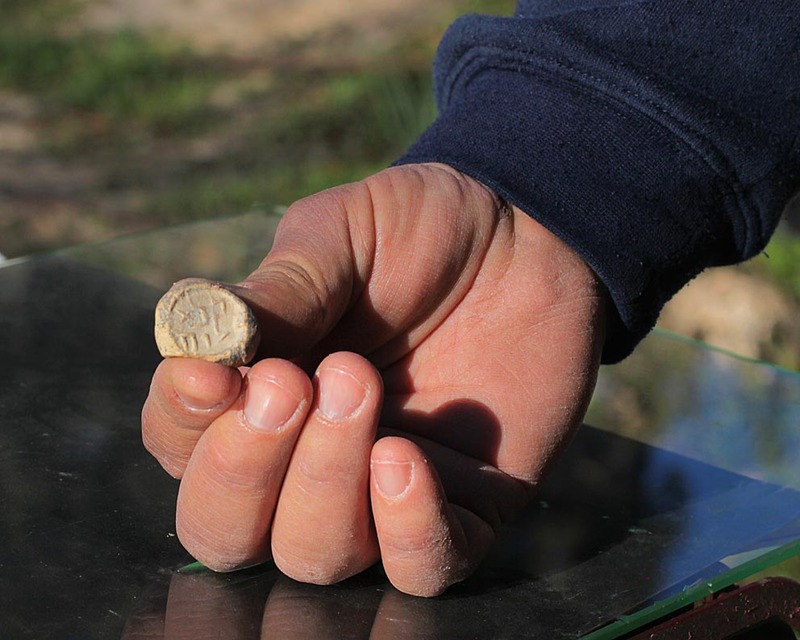 The analysis is that this signet was used to authorize the purity of objects and food being brought into the Temple area - Har HaBayit. The discovery, like the other before it, was from under Robinson's Arch along what was a Herodian street dated back to the 1st century BCE. In addition to the signet, other discoveries include oil candles, ceramic pots, along with oil and spice holders and coins. Considering the story of Hanukkah, where a small flask of oil was discovered with the priestly stamp of being pure, this signet is a very timely discovery and especially fascinating. Amidst great fanfare, the Iryah of Bet Shemesh, escorted by police, yesterday removed the sign calling for women to walk on the other side of the street. According to reports, the goons came out while the city workers were cutting it down, and tried to oppose them. Among other things, they called the workers "Nazis". I don't think I would have posted this video, but it made me laugh enough that i thought it was worth it.. Lighten everybody's mood a bit. Just the scene of these goons chasing around this street doll made me laugh - despite how said it is. A promotional street doll - a guy in a costume - for a well-known tzedaka (from the USA) - I am not quite sure what their problem is with this, but it seems the goons disapprove.. I think the guy in the costume should have said, to save himself, that he has taken the burqa chumra to the next level and has made himself (herself?) totally shapeless... Maybe they would have been happy with him had he said that.. It seems there is nothing else important, or maybe I should say interesting rather than important, in the news today. This is a nice report, and it was nice of the people in Ponevezh to take the time to talk to these Koreans.. While I was in captivity, I thought a lot about sufganiyot..
We don't hear much about Gilad Shalit nowadays, thank God, but here he is looking good.. I find the following videos to tell a fascinating story, both of Internet marketing and also of what holds our interest.. The first video is of a now-famous incident of a Fedex delivery guy. As you can see in the video, the delivery guy walks up to the fence and tosses the package over. No attempt to wait for the gate to be opened, and he did not even ring a doorbell or intercom buzzer! he just tossed it over. This video created quite a stir as it quickly went viral. Since it was uploaded on December 19, just 3 days ago, it has over 4 million hits! The package was a computer monitor, which broke after it was tossed over the fence. In response, Fedex management released the following video of a senior Vice President of Fedex talking about the incident, what they have done to fix it and how that is not standard behavior for Fedex representatives. Damage control. This video has over 4000 hits in the one day it has been up. Multiply that by three, and you don't get anywhere near the 4 million of the original video. When newspapers print inaccurate headlines that hurt someone, they get seen by tens, hundreds of thousands of people. When they print the retraction or apology, they get placed on some inner corner or page 28 and hardly anybody notices. Maybe the Fedex VP needed to be holding a furry kitten or a laughing baby, and then his video would have gone viral as well. Only in the world of YouTube and short attention spans is the Fedex delivery guy more interesting and captivating than a senior vice president. YWN has announced a kiddush hashem that happened on a mehadrin bus. A woman got on the bus in front. Not only was she not told to move to the back, or at best ignored, but the people in the front seats offered to get up so she could have the front seat! It is sad that on a bus that the passengers call "mehadrin" we have to be impressed that some people were kind to others. Unfortunately that is what it has come to, and yes, I think, in light of the recent explosion of the situation their behavior was a kiddush hashem..
Is The Bet Shemesh Train Minyan Guilty Of Gender Segregation? Channel 10 news picked up on an incident where someone in the minyan no the train from Bet Shemesh to Tel Aviv asked a woman if she would not mind moving to the next car as that car is a the shul. In the video you see it is only one person, and he even gets shouted down and other people say this is a train, not a shul and she can sit wherever she wants. Yet the media, looking to make a news story of "hadrat nashim" - the removal of women - where there is no story, make it sound as if this is a regular occurence on this train minyan. It is not. I have personally been in the minyan a number of times and fairly regularly there are a few women who sit in this car and nobody asks them to move. I don't know why they want to sit in this specific car, as it is noisy with the services, people are moving around a lot, and whatnot, but they want to sit there and nobody bothers them. 2. What Did Avraham Avinu Wear? 6. Was Rachel Imeinu Killed by a Werewolf? 7. We have all seen the now famous picture of Rav Nosson Tzvi Finkel from when he graduated high school from ida Crown Hebrew Academy. Now you can also see his 8th grade graduation picture! The sirens announcing the arrival of Shabbos are a beautiful thing. Along with that, they bring back the ancient custom of announcing Shabbos by blowing trumpets in the community. Different areas use different ttypes of sirens for this. The standard siren is just a long wailing siren. In some neighborhoods, they add to that a siren blaring music - generally a Shabbos tune. I particularly used to love the siren. In the winter, I am usually still home when the siren blares, as in my neighborhood many people keep candlelighting according to the custom of Jerusalem to light 40 minutes before sunset rather than the Bet Shemesh custom of 20 minutes prior to sunset. In the summer, when I make early Shabbos, I am usually walking home from shul when the siren blares, and then I get to embarrass my kids as I often sing along with the music. I say "used to" because recently it has started getting on my nerves. The local people running it have added so many warning sirens they are making me crazy. It is no longer a siren just at candlelighting time, or a 2 minute warning prior to candlelighting time. Now, there is a siren 20 minutes before candlelighting time, then 10 minutes prior. I think there is also 5 minutes prior as well. That is in addition to the regular two sirens. I counted last week and if I remember correctly there were 5 sets of sirens blasted. At first I couldnt understand how candlelighting time had gotten so early, then I realized they are warning sirens. Anyways, the Belz shul in Tel Aviv just had to cancel their siren to avoid fights. 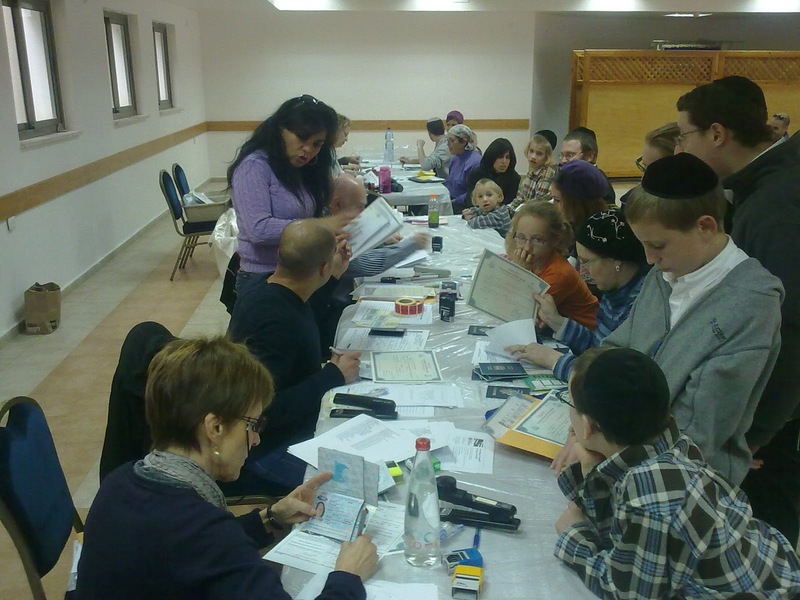 Belz plays Lecha Dodi over the siren system, and a number of secular residents of the area have been asking them to stop playing it. Initially they lowered the volume, but they have now decided to cancel the entire siren altogether. The gabbai of the shul said that they have been in that location for over 50 years, and have never tried to take over the neighborhood or anything. He said they have never tried to force anybody to do anything, but if people are going to complain about this, it isnt something necessary to fight about. When other people asked why they stopped it he told them that he is not interested in waging any battles. I think the Belzer gabbai in Tel Aviv made a wise decision. he recognized which way the winds are blowing right now, and realized this is not something worth fighting over, and causing hatred towards his shul among the locals. There was just an interesting court decision about a woman's ability to claim the lack of gender-segregation as being discriminatory. 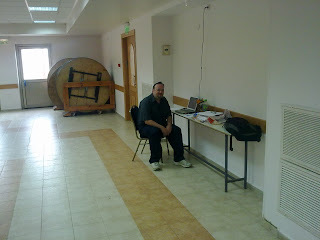 When one goes on the unemployment rolls in Israel, one must go down to the unemployment offices, register with documentation that you lost your job, and then return regularly to check for any jobs that might have come in that they decide are compatible with your profile. If a potential job comes up in the system, you would be given a paper and be sent to the relevant company to interview for the job. If the company rejects you, for whatever reason, they will sign a paper for the unemployment office informing them of why they didnt hire you for that job. If the job is offered to you, you have to take it. You can reject the job offer, but then you will almost always lose your unemployment rights. The only way to keep unemployment rights after rejecting a job offer would be to prove that you were incapable to doing that work, which might be difficult considering the company thought you were capable, though the interviewing company could still reject you after the interview for a variety of reasons.. It is not really such a big deal. I remember when I collected unemployment for a period of time a couple of years ago, potential jobs occasionally came up in the system as relevant for me - they were generally easy to reject right away for various reasons - one job required that I speak French, and I don't speak French. Another job I remember was sort of connected to me - because I was registered in the computer industry, the system spit out all sorts of computer jobs and the clerk would simply ask me if I know this or that - when I said no the job was immediately marked as irrelevant and when I said yes I had to go to the interview. At that stage I did not have to prove anything - it was easy to reject a potential offer by saying I don't know that field. Once I went on an interview it would have been more difficult to reject while continuing to collect money from the system. 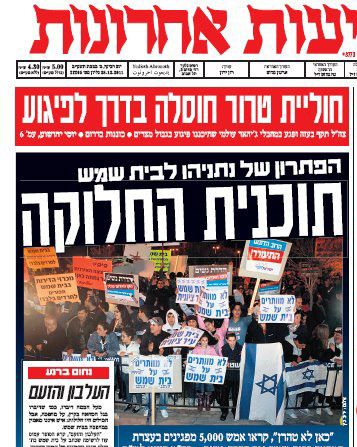 Globes is reporting about a Haredi woman who was collecting unemployment. When she was offered a job through the unemployment system, she refused to accept any such job offers that were for workplaces that did not have gender-separation. It seems that the unemployment office did not accept that as a valid reason to refuse a job and cancelled her unemployment benefits when she did not back down. She appealed the decision to the labor court. The labor court approved the decision of the unemployment office to cancel her benefits. The judge said that the appelant's demand to only work in an environment that separates men and women is enough of a reason to cancel her rights to unemployment. Among the reasons to reject her appeal is that accepting it would lead to supporting the standardization of discrimination and the encouraging of women to not integrate into the workforce. As well, the judge said, establishing the right to unemployment benefits under such circumstances would encourage discriminatory criteria and would be doing so from the public coffers. The judge rejected the validity of the appelant's claim that working in a mixed environment is against her religious beliefs saying that even if the appellant feels her personal honor has been harmed by the decision of the unemployment office, accepting her claim would damage the honor and rights of many other women who seek equality in the workplace. The judge ruled that the appelant was not discriminated against, relative to other secular people receiving unemployment. At most, the special considerations relevant to her beliefs were not accepted. The judge even closed her arguments quoting Jewish sources saying that a woman is allowed, under certain conditions, for the purposes of parnassa to remain in an office even with just one other man. I don't know how relevant that last quote is to anything. It seems out of place for her to tell any person what level of halacha to keep or what stringencies or leniencies to rely upon. At most she can say, as she said, that the public coffers don't need to pay for your personal preferences. Despite that, and with the knowledge that I am not a lawyer or other type of expert in the relevant laws, it seems strange to me that a person's religious beliefs, without arguing whether or not they are valid beliefs, are not protected by the courts because of how they would theoretically affect other people. If an unemployed Muslim was to refuse work in a pork slaughterhouse based on his religious beliefs, would the courts say that his belief must take a backseat to the secular public's belief that there is nothing wrong with working in a pork factory? Would supporting his refusal mean harming other people's ability to work there? If an unemployed Catholic was offered a job in an abortion clinic (if abortion was legal) based on his religious beliefs, would the courts say that he did not have the right to refuse because doing so would harm the right's of the people who support abortion? The concept of the suit itself is a very interesting twist. Gender-segregation is the hallmark of discrimination. The appelant wanted to turn that around and say that not providing gender-segregation was discriminatory. That would be like an African American, segregation was done away with, suing saying he insists on only being in a black classroom or to sit in the back of the bus with other African Americans as sitting with white people is against his beliefs. It wouldn't be Hanukkah with the dam Sandler Hanukkah song.. so put on your Yarmulka, it's already Hanukkah!!! Israeli entrepreneur Rotem Guez said he has legally changed his name to that of Facebook's CEO, a gimmick meant to persuade the social networking site to back down from what he says are threats to take legal action against him. He's telling Facebook: "If you want to sue me, you're going to have to sue Mark Zuckerberg." He said a lawyer for Facebook pressed him this week to close his online business Like Store, calling it illegal. Like Store promises to enhance companies' online reputations by offering Facebook users free content only accessible by clicking "like" on the companies' profiles. A church in New Zealand posted a controversial advertisement on a billboard - of the Virgin Mary being shocked seeing the results of a pregnancy test.. The ad has provoked outrage, but those behind it say it was meant to make people think about what happened and the meaning of events. I didn't choose the title - it was put on the video by the uploader.. It is a nice clip but I am not quite sure what the kiddush hashem is... I guess it is a kiddush hashem when someone is well-behaved.. This level of mass crying, being called a massive act of unheard of proportions, over the death of supreme leader Kim Jong-Il is just fascinating.. I don't think I have ever seen anything like it.. Recently we have been witness to the removal of woman - kosher autobus, kosher electricity, soon there will be kosher air. We will not allow a place for these phenomena.. Yesterday was a crazy day regarding the mehadrin bus issue. A storm erupted over an incident on the Egged #451 bus from Ashdod to Jerusalem the other day. A woman, Tanya Rosenblit, got on the bus and refused to move to the back. While most passengers ignored her, one got on a few stops later and did not like what he saw. After she refused to move, he stood in the door of the bus, causing a 30 minute delay, with Rosenblit holding her ground just as firmly. People complained, eventually the police were called, Rosenblit continued to refuse to move, and eventually the fellow got off the bus, to show his disapproval, and the bus continued on its way. From what I understand, a number of his buddies also got off in protest, and reports also say that passengers at stops further along the route were told not to board the bus. While there has been talk of provoking responses, of riding buses just to find the idiot who would put up a fight and all that, so far none of the incidents have been successful in creating the ruckus. Until Rosenblit, Rosenblit herself might have become the Israeli Rosa Parks. The entire country was in a tizzy yesterday about this case. It was discussed in the Knesset, by the Prime Minister, on all the news sites and media, as if nothing else was happening in the country. Those supporting the mehadrin lines eventually responded claiming she did more than just sit there. they said she had touched men as they walked by (brushing their arms as if accidentally), had threatened to sing loudly, had threatened to disrobe (Rosenblit denies touching anyone and says threats she made were only after the fact in the heat of the argument, not the cause of it). Was Tanya Rosenblit the straw that broke the back of Israeli society on this issue? This is amazing. I am surprised it did not get wider press, and that it did not generate protests. Discovery Times Square, in New York, just opened a new exhibition of the Dead Sea Scrolls. The exhibition will be running for 2 weeks. As part of the exhibition, visitors will be able to see the Dead Sea Scrolls, along with over 500 artifacts (they say these artifacts were never before on display) from biblical times in the Holy Land. The most interesting part of the exhibit, I think, is, in their words, "an actual stone from the Western Wall from the Second Temple in Jerusalem" and visitors will experience it azoi "Place your prayer on an actual 3-ton stone from the Holy Land's Western Wall"..
Whoa... they took a stone out of the Kotel? Where is the big hole in the wall? How did they transport a 3-ton stone from the Western Wall? From what I understand, the stone is not actually from the Western Wall itself, but was part of the southern wall excavations. Dead Sea Scrolls: Life and Faith in Biblical Times from Discovery Times Square on Vimeo. For those of you that the "kotel kam" was not enough, now we bring the Kotel to you! I think Discovery Times Square should arrange, or allow someone to arrange, minyanim at the Kotel in new York. People will be able to say "I davened at the kotel" even when in New York, and not mean that they davened at home! What an amazing picture from Crownheights.info! Santa wearing tefillin! 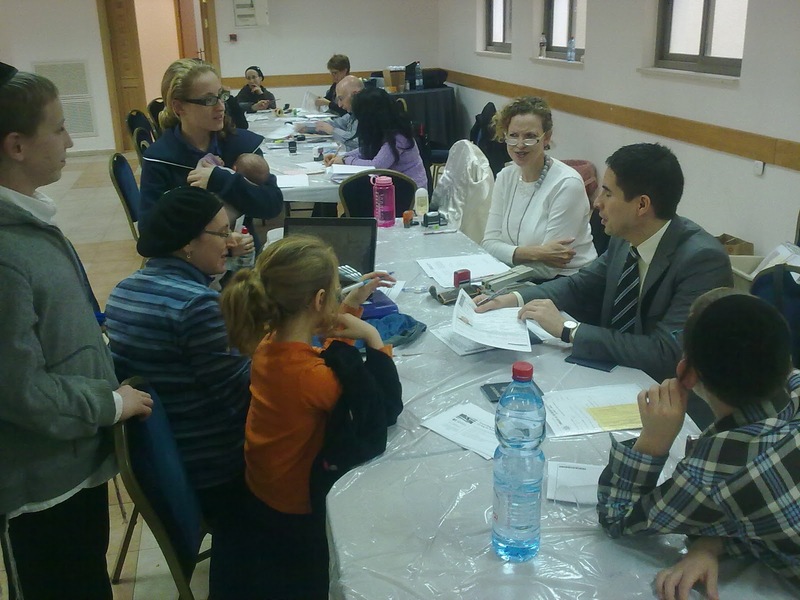 The Consular division of the US Embassy of Tel Aviv provides a necessary service. US citizens abroad need to register their children born abroad, apply for and renew passports, social security, and more. The difficulties entailed by the need to go the Embassy itself are well known by anybody who has needed to - the level of security, the appointment system, the amount of time, the hassle and expense of getting there, etc. 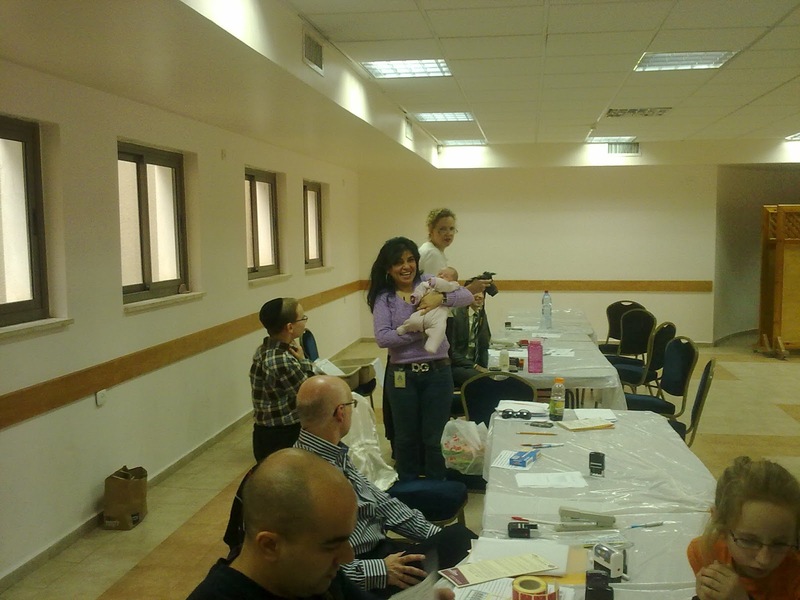 To make it easier for US citizens to take care of these things, the Consular department has been going out to various communities that have relatively high numbers of US citizens and "holding court" in those towns. You still have to get an appointment for when they come to your town, but once you do, you are in for a treat. The clerks are friendly and helpful, the amount of time saved is amazing - between saving time in travel and in reviewing the paperwork and processing requests. On Wednesday, the Consular department of the US Embassy in Tel Aviv came to Bet Shemesh. We were the biggest customer of the day. Out of 78 appointments processed over the course of the entire visit, we used 8 of them - more than 10%! The consular staff had a blast, taking pictures of us, holding the baby, and laughing and joking with us (we were even compared to the Duggars!). It seems such a large family is a bit of a rarity in their world, and the joy at being able to assist in such a speedy manner so many requests together was difficult to conceal. They really went and made the extra effort to be accommodating and helpful - not just to us but to everybody who was there filing requests. Thanks to the Embassy staff for a wonderful service provided, and thanks to Ephraim for arranging the whole thing! MK Carmel Shama Hacohen (Likud) came to Bet Shemesh today to get a first-hand idea of what is going on in Bet Shemesh. 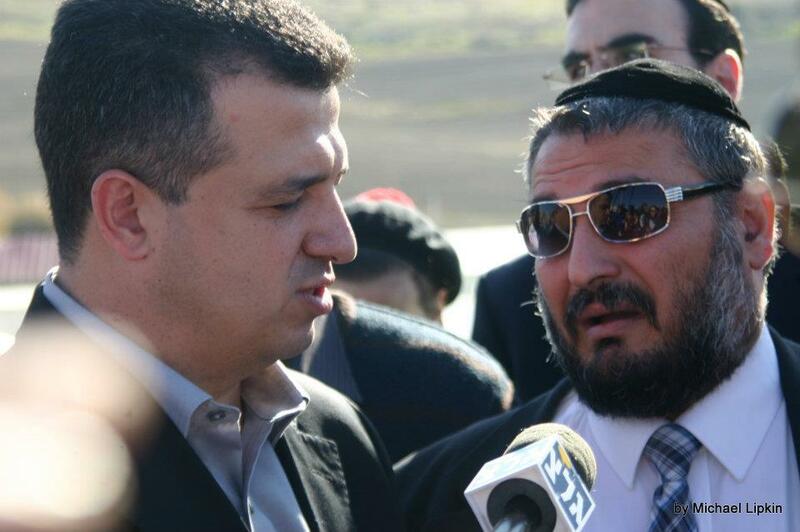 Shama heads the Economic Affairs Committee in the Knesset which is considering petitions by Bet Shemesh residents regarding claims of Bet Shemesh Mayor Moshe Abutbol haredizing the city and discriminating against non-haredim from buying homes. 2. The PM Renews Nach Shiur, Will He Invite The Guy With the Idea? and since I am closing with a link about Matisyahu's beard, I am posting this song by the Grogger's written in honor of the shaving, called "View From the Sink".. enjoy..
there was a campaign to silence her because of the perception that she writes her books to make the haredi community look bad. I find these claims to be ridiculous. I am not a fan of Naomi Ragen, nor do I dislike her. I only remember reading one of her books, and did not particularly enjoy it. Her style wasn't to my literary taste. On the other hand, I don't know her personally, but I also appreciate some of the public work she has done. I just find these claims to be ridiculous. The claims attest to the truth in the expression that the jails are filled with innocent people. Ragen is one person who has tried to use the courts in many of her fights. She believes in the courts. She was personally found guilty and is now accusing the courts of bias. Of course she has the right to appeal, and maybe she will. If that happens, we shall see if the conviction remains or if it will be overturned. I don't care either way. I dislike the way she has turned a simple plagiarism case (not simple in the details of the case, I am sure, but simple in the objective of the case) into a witch-hunt and a social battle. There is no reason to assume that the courts participated in a nefarious plan hatched by Sarah Shapiro to silence Naomi Ragen. And Shapiro's motives to bringing the suit make no difference either - even if she only did it because she wanted to put Ragen in her place, and I don't see why, despite all of Ragens's explanations, that should be assumed, she still brought a plagiarism case to the courts as was well within her rights as an author. She did not sue Ragen for slandering the haredim or anything else. The courts ruled on a case of accused plagiarism. It is as simple as that. Nothing more, nothing less. I wanted you to hear this from me. As some of you may have heard, for the last few years I have been hounded by two haredi women authors who have sued me in Israeli courts for copyright infringement based on several sentence and word fragments. I have been fighting these ridiculous allegations as best I can. Earlier this week, to my absolute horror, the judge involved decided to find in favor of one of them, a woman named Sarah Shapiro who wrote a book in 1992 called "Growing with my Children" in which she detailed her physical abuse of her small children and her attempts to gain control of her temper. This book was given to me by her editor who asked me to encourage her in her writings. I did the best I could, hoping that it would help her and her family. A year or two after Sotah was published, she wrote my editor in New York saying that she felt a few sentences in Sotah bore a similarity to those in her book (a woman afraid of being pregnant - in her book she is pregnant, in mine she is not, and the discussion leads to a talk about birth control). A talk with a Rabbi about controlling one's temper. In my book, one of my characters has a similar conversation with her husband. Certain phrases "perfect little angels" etc. were similar. But there was such little material my editor and the legal department told her this was not copyright infringement, and at the time she agreed. Fourteen years later, when a case was brought against me by a self-published author, Michal Tal, seeking to link her name with mine about The Ghost of Hannah Mendes, Shapiro contacted the same lawyer, who convinced her to sue. The Tal case was decided completely in my favor after Tal passed away. Unbelievably, the Israeli judge, whose decision I can only surmise might have be adversely affected by the language barrier, this week decided in her favor. suppression of freedom of thought and expression. The court in this case refused to consider how similar cases all over the world have been handled (and, indeed, have been handled in Israel) until now. This can only have a chilling effect on Israeli culture, hindering the freedom in which we writers must work. My lawyers and I are presently studying this decision and weighing our options. We will appeal. I find it interesting that she says they are weighing their options and then immediately says they will appeal - which is it? Are we still deciding how to proceed or do we already know? William Kolbrener, the literary expert whose testimony was a large part of the basis of the court's decision, explains why this was not a decision to limit free speech. So, Is Ragen just diverting attention from her own crimes? I am sure she believes in her innocence, and will again attempt to prove it, but she can fight the plagiarism without bringing in other crazy claims.